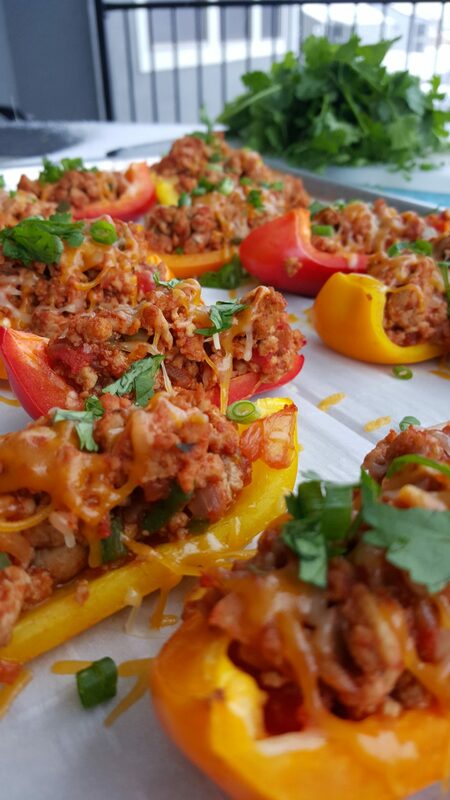 Low Carb Bell Pepper Nachos are a Fun Clean Eating Snack Idea! 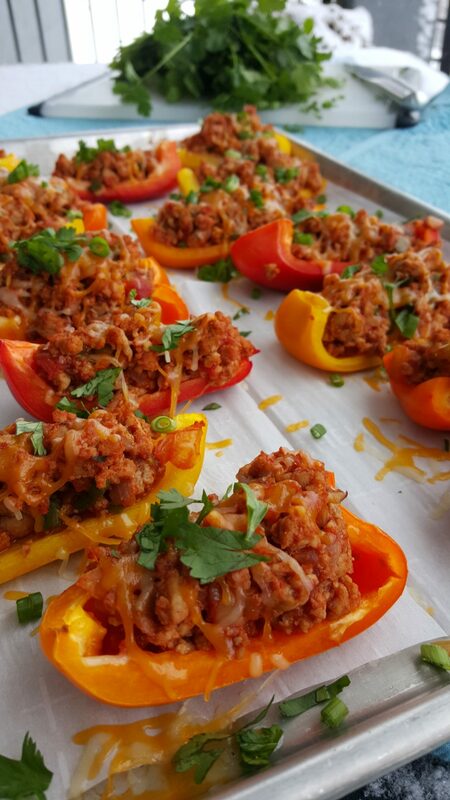 Such a FUN Appetizer + Snack idea! Made these with the kids one afternoon to satisfy our afternoon nacho craving. Super, super DELICIOUS! 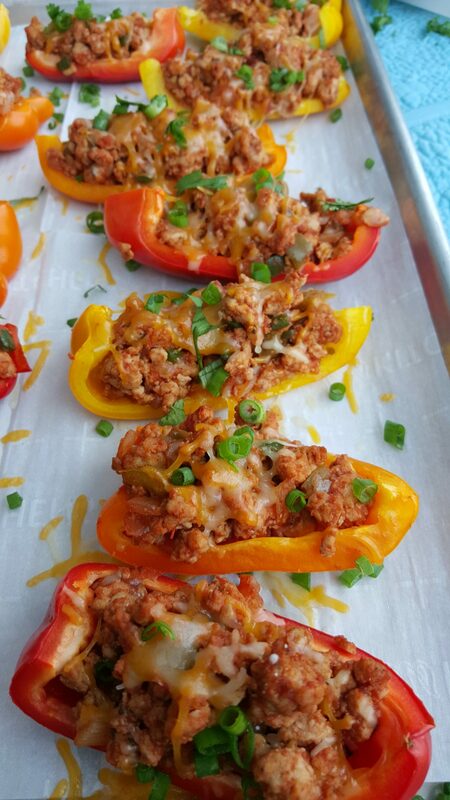 These are great for parties, game day, and weekend snacks too! Optional “nacho” topping ideas: sliced jalapenos, diced avocado, Greek yogurt, sliced green onions, and/or cilantro leaves. I tried to slice them along the natural folds to keep little pockets/boats for my toppings. 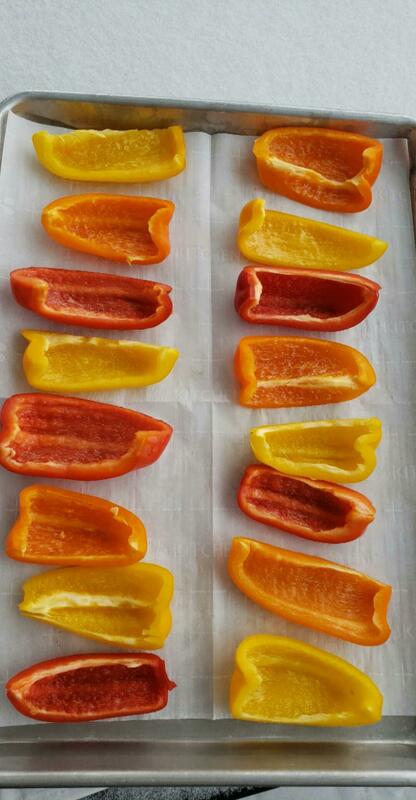 Set sliced bell peppers pocket side up on a large parchment lined sheet pan. Brown ground turkey over medium-high heat in a large saute pan, breaking up with a wooden spoon as it cooks. Add in onions, garlic, and diced jalapenos. Cook until the turkey is cooked through. Drain off grease if necessary. Stir spices and salsa into your cooked turkey. 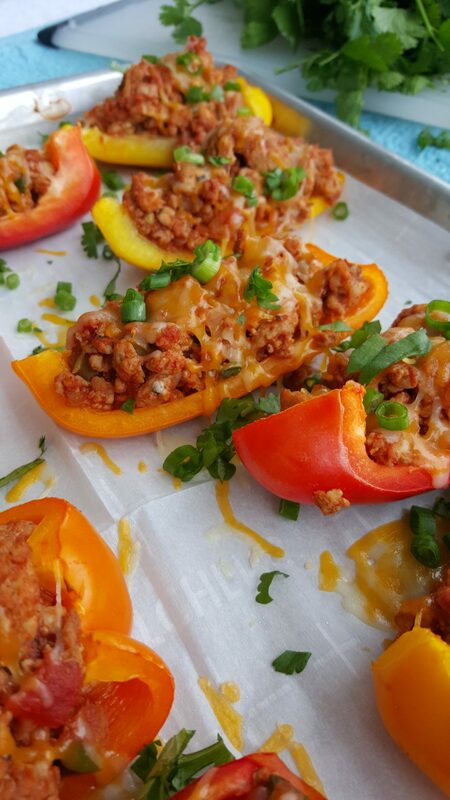 Carefully spoon turkey mixture into the little bell pepper boats. 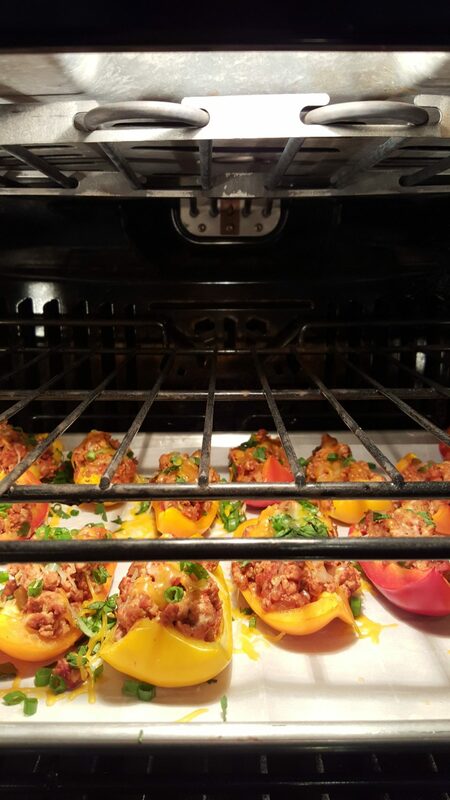 Spoon a couple Tablespoons of water onto the baking sheet, this will help steam and soften the peppers a bit. 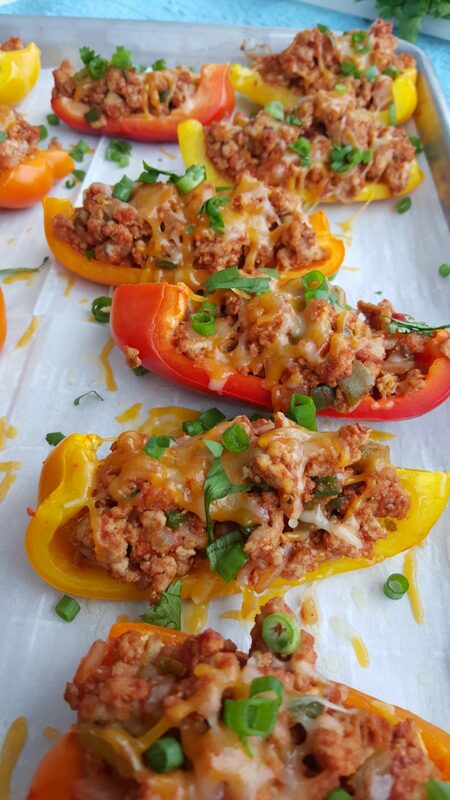 Bake for about 12-15 minutes or until peppers are hot and just beginning to soften. I like mine still fairly crisp. Sprinkle tops lightly with cheese, and bake for another minute or two until cheese is melty. Sprinkle with any toppings of choice, and enjoy immediately. 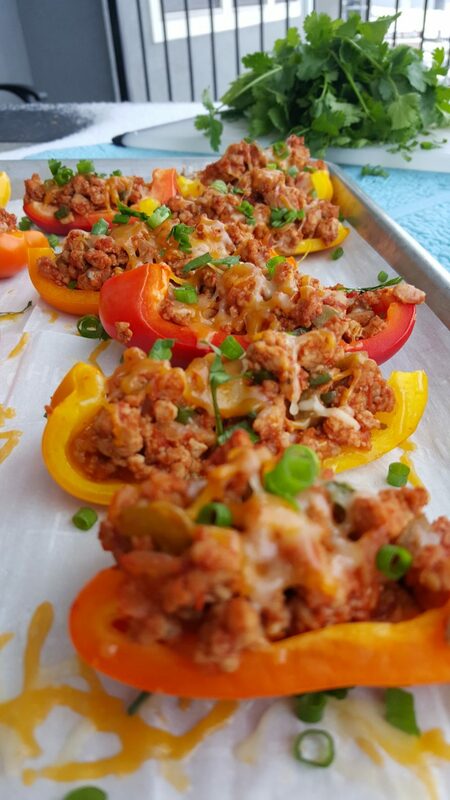 Preheat your oven to 375 degrees f. Remove the seeds, and membranes from your bell peppers then slice each one into 4-6 verticle pieces as shown (depends on the size of your bell peppers) I tried to slice them along the natural folds to keep little pockets/boats for my toppings. 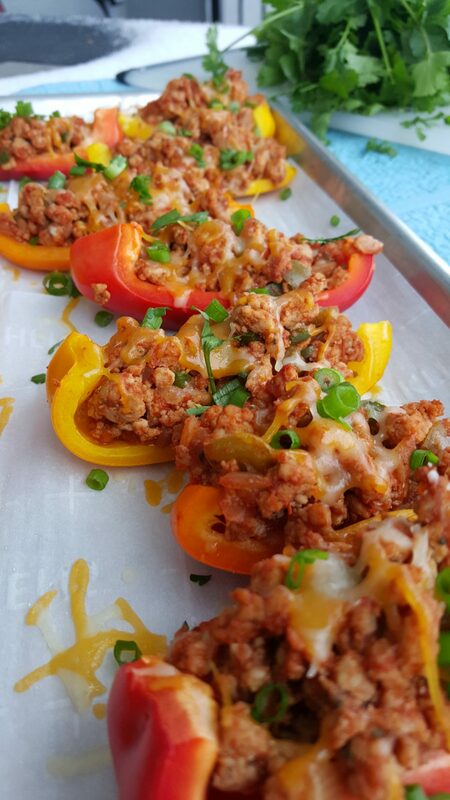 Set sliced bell peppers pocket side up on a large parchment lined sheet pan. Brown ground turkey over medium-high heat in a large saute pan, breaking up with a wooden spoon as it cooks. Add in onions, garlic, and diced jalapenos. Cook until the turkey is cooked through. Drain off grease if necessary. Stir spices and salsa into your cooked turkey. 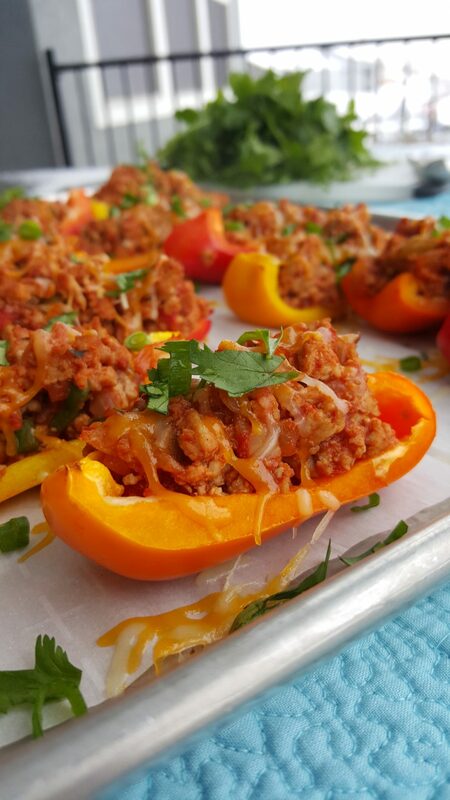 Carefully spoon turkey mixture into the little bell pepper boats. 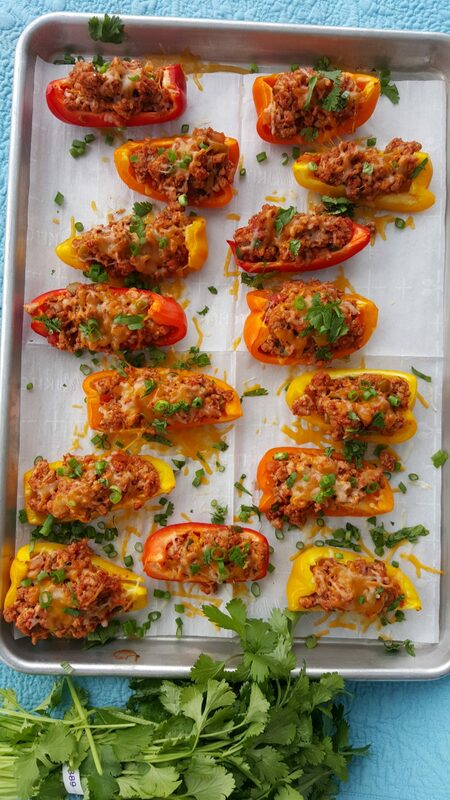 Spoon a couple Tablespoons of water onto the baking sheet, this will help steam and soften the peppers a bit. 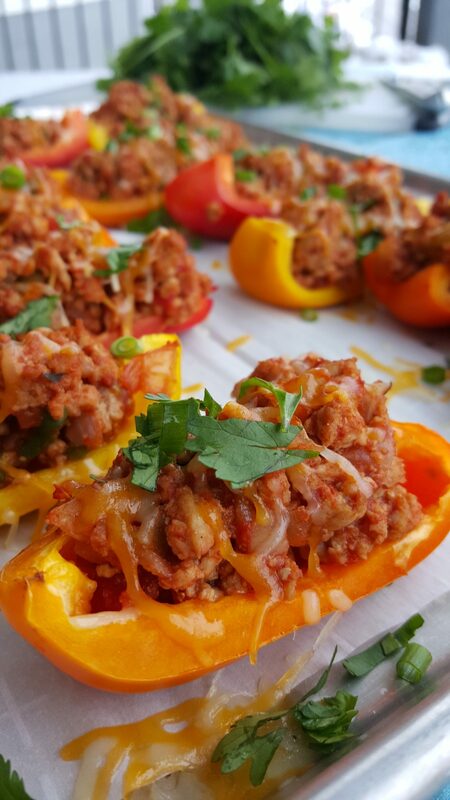 Bake for about 12-15 minutes or until peppers are hot and just beginning to soften. I like mine still fairly crisp. Sprinkle tops lightly with cheese, and bake for another minute or two until cheese is melty. Sprinkle with any toppings of choice, and enjoy immediately. Enjoy and remember to tag me @CleanFoodCrush in your creations! Optional "nacho" topping ideas: sliced jalapenos, diced avocado, Greek yogurt, sliced green onions, and/or cilantro leaves.